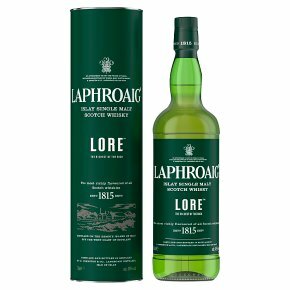 Laphroaig Lore is a complex marriage of rare whiskies matured in small batches. Lore is the richest ever Laphroaig. Since the founding of our distillery in 1815, each Laphroaig Distillery Manager has been the custodian of the craft to make the richest single malt in the world. Over the years, each has passed on their skills and traditions to the next generation to continue this legacy. To honour this passing of knowledge, our Distillery Manager John Campbell has created Lore, a rich, peaty Laphroaig like no other.